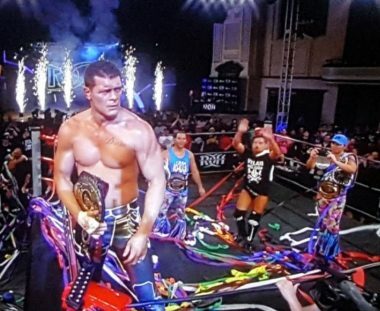 Ring Of Honor, an American professional wrestling promotion, has launched an SVoD offering as an alternative to the WWE Network. The ‘Honor Club’ service gives access to an archived library of TV events, and will live-stream all shows going forward, as well as, in the case of a yearly VIP subscription ($119.99), free streaming access to every Ring of Honor PPV. Standard Memberships ($9.99 a month) will include a 50 per cent discount on ROH’s major PPVs when bought digitally.